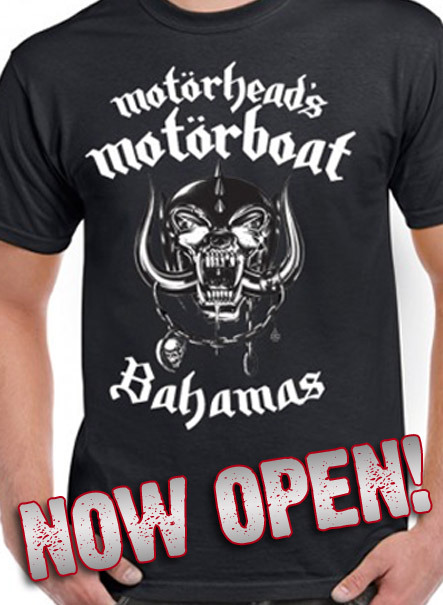 Motörhead's Motörboat will not be sailing in the immediate future. However, should plans develop for another event, Motörboat alumni and members of our mailing list will be the first to know! We continue to mourn the passing of our friend, Motörhead frontman Lemmy Kilmister. He was, and will forever be, the perfect embodiment of rock and roll, who for over four decades had an immeasurable impact on music. For two incredible years Lemmy served as our ever gracious Captain, and we are incredibly honored to have had the opportunity to work with him and Motörhead to bring you The Loudest Boat In The World. Our thoughts and best wishes are forever with Lemmy’s family and friends, to Phil and Mikkey, the entire Motörhead organization, our incredible Motörboat family, and music fans throughout the world. May you play rock ’n’ roll for all eternity O Captain! Our Captain!